You can use them for Lora (not lorawan) projects, or for anything not even related to lora at all - after all an ESP32 with an oled and battery management can have many uses in its own right. I was in the same situation as you - but only for one 433 Mhz unit - and just decided to send it away to anyone who have an use for it. Some german user from hackaday.io have it now. If you have 433 Mhz unit, I can buy from you. Same problem. Directly powered with 3.3v through pins, it drains 10.2mA in deep_sleep, LoRa.sleep and displayoff. I’m waiting to receive LoRa1276 modules to test them with esp32 devboard and discover what drains the power! They came nicely packaged on a plastic box that protects the OLED. The nice/weird WIFI antenna. Under it there is nothing. No components no screws. But I yet didn’t test WIFI and/or BLE. It came with pin headers, SMA pigtail, rubber antenna and lipo connector cable. So, so far it looks very good. 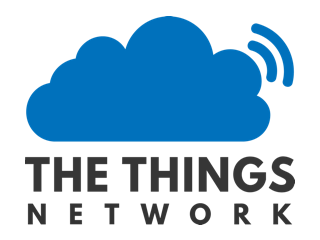 Just beginning with using the things network. But how do I start with the heltec lora esp32 dev board? I just want to use an example, but I get an error. "\Arduino\libraries\TheThingsNetwork\src/TheThingsNetwork.h:9:26: fatal error: avr/pgmspace.h: No such file or directory"
I have the Heltec esp32 LoRa 868MHz dev board. Are you sure you selected the right board in the menu ? That error mentioning “avr” sounds like you are still trying to build for an arduino - or any other boards using AVR µControllers. Ok, so I don’t recognise the Arduino library referenced in the error. Have you renamed the one from http://github.com/matthijskooijman/arduino-lmics ? Tried to import this manually and this was successful. So maybe there is some error in the library that the Arduino IDE profited? Just glad you found something that works! Just tried the deep sleep mode of the heltec esp32 lora board and measured power consumption. The result is 12mA in deep sleep and 50mA in “normal” mode. I thought that power consumption is much lower. Any idea how to lower it down? This little led is alway blinking too. I don’t know how much power it consumes. But I can’t belief that this is the main reason. This little led is alway blinking too. Did you connect a battery? Then it would be charging it, which obviously explains the power consumption. Without a battery it might still be trying to detect a battery all the time; I’ve no clue but @Epyon posted some schematics earlier in this topic. I am powering the esp32 using 4 AA batteries via the 5V and GND pin. I don’t have the correct JST connector right now.